Veach Consulting Engineers provided the mechanical and plumbing design for a new Ranger station and visitors’ center for the U.S. Forest Service in Prairie City Oregon. This building is designed to meet the USDA and Forest Service Sustainable Building Criteria as well as the security requirements of Federal Facilities. 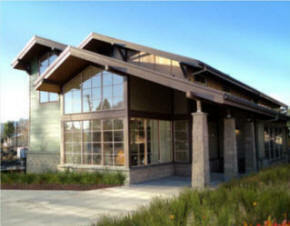 This project included a public entrance and public meeting spaces as well as office spaces for the rangers. Sustainable design features include solar water heating, green refrigerants, water saving plumbing fixtures and high efficiency heat pumps. A building energy model and life cycle costs were used as decision making tools for selecting durable plumbing and mechanical components. 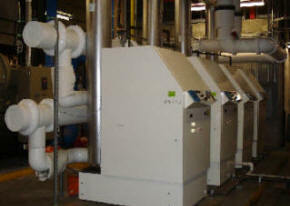 Veach Consulting Engineers designed the replacement of the existing boilers with high efficiency condensing boilers. The heating system pumps were changed to provide variable speed operation. New heating hot water system controls were added to operate boilers and pumps for better efficiency. The cooling water loop was modified to solve water overflow issues and operate more efficiently. The project was completed in phases to keep the plant in full operation during construction. This new design has greatly reduced the energy consumption for the college. Washington National Guard M.A.T.E.S. Bldg. 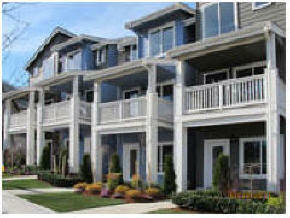 This project consisted of energy renovations for two separate buildings. For the M.A.T.E.S. 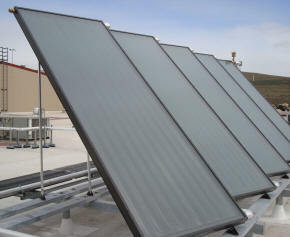 building, Veach Consulting Engineers utilized energy saving domestic water solar collectors to work in conjunction with the existing hot water system. The second 951 building included removal and replacement of the existing hot water boiler with new, energy saving, modulating condensing boilers. Extensive lighting upgrades and controls were also installed.